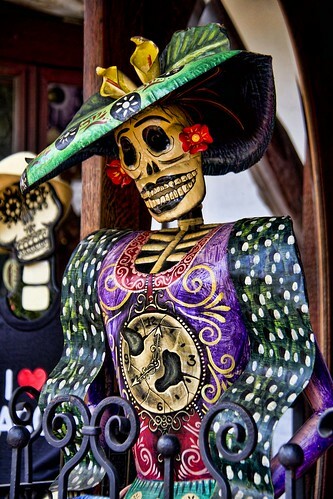 In San Diego, last weekend, we came across quite a few reminders that the "Day of the Dead" celebration was approaching. This is a time when it is a Mexican custom to pray for friends and family members who have died. The artwork is certainly interesting.